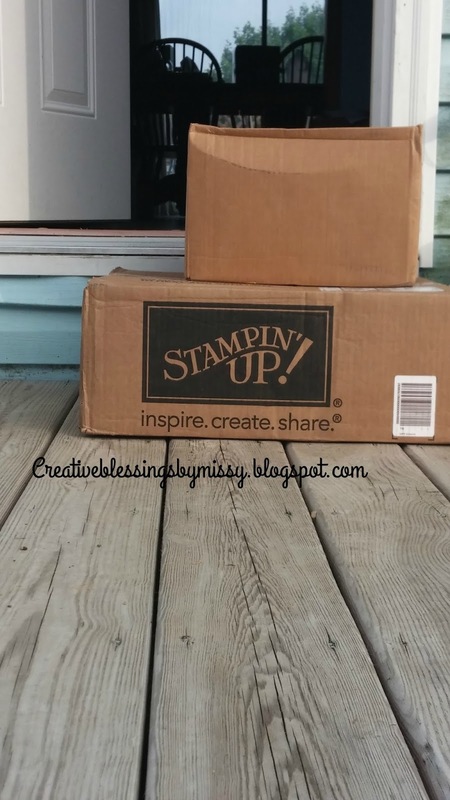 Creative Blessings by Missy: Time for new! over 11 years ago because I love a good deal! Anytime I can receive free and/or discounted products it's a win win. When I joined I wasn't sure I would be able to meet the quarterly minimum. So I shared the products with some friends, held a few workshops and a class or two each month and was thrilled that the commission covered my personal purchases! I still get excited when I can pre-order new product before the new catalog goes live! 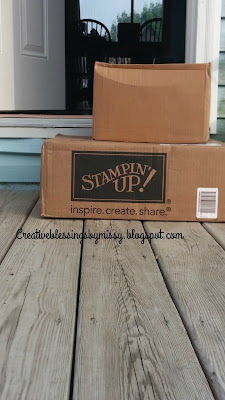 These boxes were on my front porch last week and I've been creating this weekend - stay tuned for sneak peeks and an upcoming listing of classes and events! If you are local I'd love to create with you and stay tuned for a virtual option for those who are not local or for those that are unable to make the local class.